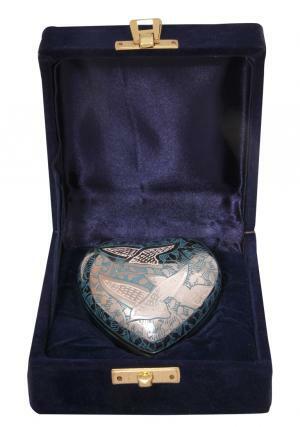 The intricately hand designed with engravings of soaring three doves flying home in the teal swirls characterised with the movement. 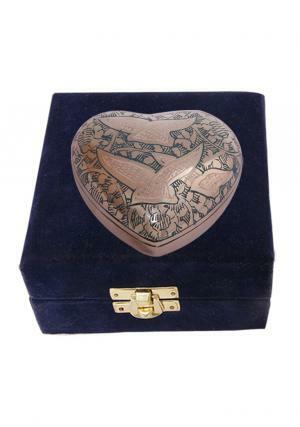 Going home heart keepsake urn can coordinate with other memorial if desired and can make a good honor of the loved one with a small keepsake heart cremation urn. 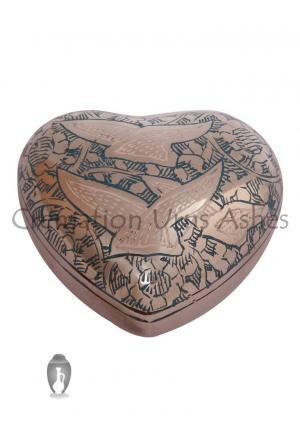 Heart funeral urn has the perfect finish in silver with the beauty of engravings. 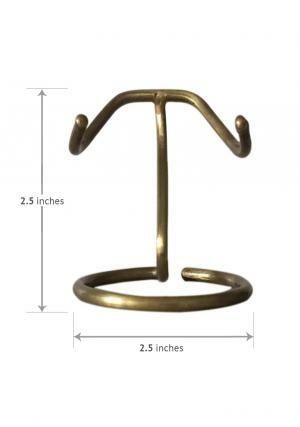 The primary use of the urn is to store small amount of cremation ashes that might be after scattering the ashes or can be spread among the family members. 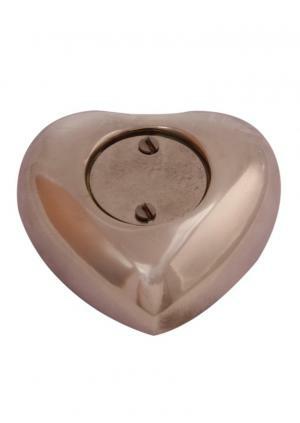 Heart keepsake funeral urn for ashes has a screw threading behind the urn to insert ⅓ of a cup or 3 cubic inches of ashes. 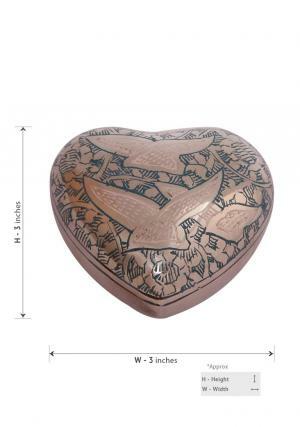 The produced dimensions of the heart memorial urn is 2.85” inches that weighs 0.24 Kg.